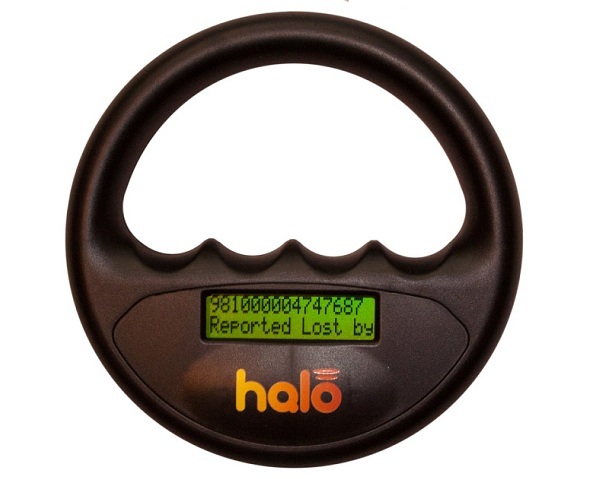 The Halo microchip scanner will read the FDX-B (15 digit), FDX-A (10 digit), EM4102 microchips used for animal identification in compliance with ISO 11784 norms. It will also display if it has detected the presence of the 9 digit AVID encrypted chip. The Halo is Scanner Angel® enabled and comes complete with a USB lead for charging the scanner’s internal rechargeable battery and a CD for installing the relevant scanner software and Scanner Angel® software. detects presence of 9 digit encrypted chip. • Displays temperature from ISO thermo chips.